We know you have your choice of car dealerships around Southwestern Idaho, and we thank you for choosing our Boise Nissan dealership. While we offer a wide selection of new Nissans for sale, on top of an impressive array of high-quality used cars in our inventory (including Certified Pre-Owned Nissan models), we know that’s not enough on its own. For that reason, we also pride ourselves on facilitating out-of-town and out-of-state transactions; whether you’re visiting from nearby Nampa or as far away as Nevada, we make sure the car-buying process goes smoothly and quickly, so you can be on your way home in your dream car in no time! While some dealerships act like they’re solely in the car business, we like to think that we’re in the people business. Your satisfaction, both before and even after your purchase, is our utmost concern. Whether you’re still in the early stages of researching your next car choice or are simply looking for information on how to best care for your trusted Nissan that you’ve owned for years, we aim to provide you with exactly what you need. Don’t believe us? See what our customers have to say about us! In search of professional auto repair in Boise? We’ve got you covered! 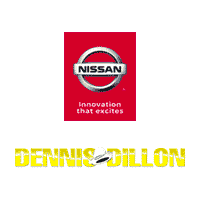 Dennis Dillon Nissan is home to a first-class Service Center, where we use only the finest OEM parts on Nissan vehicles. Don’t drive a Nissan, you say? Don’t worry! Our highly-trained service technicians are able to perform maintenance and repairs on all makes and models. Still, one of the most exciting things we’re able to offer our customers is our No Risk Guarantee for nearly all of our used cars and trucks. As a part of our “Love It or Leave It” promise on select used vehicles, we’ll refund your money or let you exchange the car for another vehicle if you’re not 100% satisfied! To learn more about this offer, to schedule a test drive, or to simply get directions to our dealership, contact us online today. We look forward to serving you!